Website Design & Interface Design | London | We design and code, from HTML5 to WordPress websites, all our projects are standards compliant, cross-browser compatible & search engine friendly. Design and code – that’s what we love doing the most and we are doing it well. From HTML/CSS websites to content managed websites, all our work is W3C standards compliant, cross-browser compatible and search engine friendly. Besides working on our own projects, we also support other design teams and help them develop their projects and ideas. Converting your PSD designs into fully working websites is our specialty. All our conversions are pixel perfect and exactly match the original designs. With each project we deliver structured, clean, semantic and valid HTML5/CSS3 and build websites that are well-designed, functional, fast-loading and optimised for the search engines. Our SEO projects typically include technical SEO audit, keyword research and analysis including competitors report, and search engine optimisation of the website's structure, code and content. We also set up and manage PPC campaigns for our clients and are often asked to optimise press releases and social media releases for search. Our Flash portfolio features Flash websites, Flash presentations, video streaming, interactive demos, maps and tours. 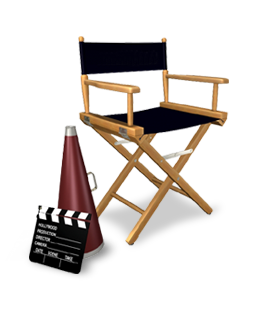 Most of our Flash projects include dynamic content, animations, streaming, video and sound. Simple, intuitive and effective interfaces, that is what we aim to achieve with every interface design project. We have designed graphical user interfaces for web and desktop applications, and custom software solutions. We cover the full range of graphic design services from corporate identity and product branding to illustration and print design. Our graphic design work also extends to photo retouching and manipulation. DesignMyWebsite.biz is a collaboration of highly skilled and talented designers, developers and online marketing experts. Our brilliant team members have extensive backgrounds in technology, new media design and coding, graphic design, advertising, television, marketing and sales. Based in London, we assist customers throughout the UK as well as Europe, Canada and the US.